With tablets becoming more common in the workplace, the problem with normal models is they're not robust enough to cope with the demands of utility workers and field service operatives. We saw Dell address this market a few weeks ago with a tough convertible system and now rugged systems specialist Getac is launching a new Windows 8 tablet specifically aimed at mobile field workers. The Getac T800 has an 8.1-inch screen, is 24mm thick and weighs 0.88Kg. It uses a quad-core Intel N3530 2.16GHz processor and is designed to offer the toughness needed for mobile use without sacrificing power and performance. It has MIL-STD 810G and IP65 ratings, meaning the device can handle shock, drops and vibration to military grades while also being sealed against dust and water. In addition it uses Getac's unique SnapBack expansion system which lets users add expansions to the T800 such as an extra battery, increasing the operational use to greater than 16 hours, or a 2-in-1 RFID and Smart Card Reader. The screen uses Lumibond, Getac's proprietary technology, that offers excellent touch control and sunlight readability without placing too much drain on the battery. The T800 also provides a wide range of connectivity options. It can be configured with 4G LTE cellular data with an auto tunable 8-band antenna capable of quickly switching between bands. It also includes the latest 802.11ac Wi-Fi for data transfer speeds up to three times faster than 802.11n products. An optional SiRFstarIV GPS offers double search capacity, faster location positioning and improved accuracy. 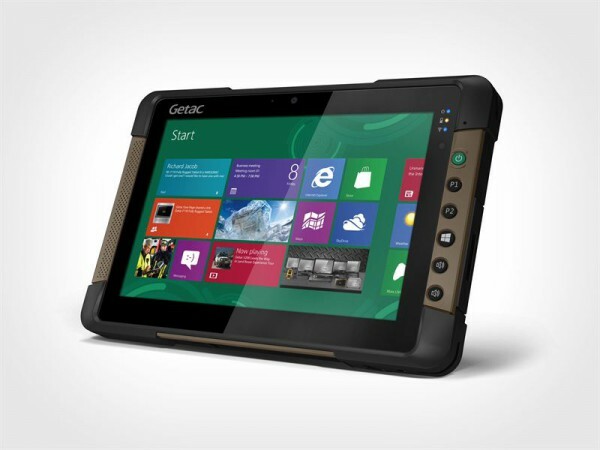 Peter Molyneux, President of Getac UK says, "The T800 gives the best performance of any fully rugged Windows 8 tablet in the market today. Our customers have given us tremendous feedback on the T800's thin and light design, while offering high levels of integration and field performance. We always target to give our customers the latest in fully rugged computer technology with no compromise on performance, and again we feel confident we have achieved this in the T800". You can find more information on the T800 on the Getac website.